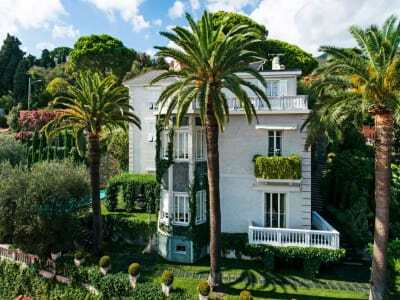 Superb Victorian Villa in Alassio for sale with spectacular Mediterranean views. Charming villa with a total of 7 bedrooms, located within and exclusive area of Pinamare, Andora, immersed within complete privacy and surrounded by 4000m2 of lush gardens with a swimming pool. This large apartment in front of the port of Savona, comes with direct views of all the fascinating activity of the port and being on the 10th floor of an historic building is calm and peaceful.